Whether you’re off to college, or already there, a trusty laptop is an essential bit of kit. The best laptops for college are able to balance essay writing as well as plenty of Netflix, social media and video calls back home. You’ll want a laptop that can go the distance to see you right through college and beyond. But what should you go for? Will a $300 Windows laptop do the trick? Or do you need a MacBook (you may want one, but do you need one?). And what about a Chromebook? With a year at college costing the average student at least $20,000, you’ll want to spend your money wisely. The good news is that all of the above are viable laptop options, depending on what type of student you are. We take a look at main choices when buying a laptop for college. Should You Buy a Chromebook for College? Should You Buy a MacBook for College? 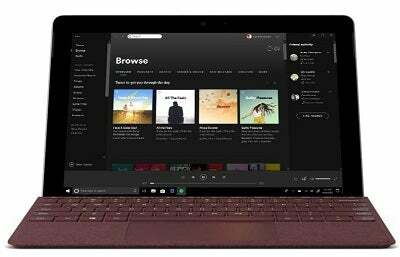 Whether you choose a MacBook, a Chromebook or a reliable Windows 10 laptop, any of the above will prove a capable companion during your studies, and help you unwind with some Netflix or Spotify when you need a break from the books. The MacBook Air has the honor of being the cheapest MacBook (we use that term relatively, this is Apple we’re talking about). Add Apple’s student discount and you can bring it down to a reasonable amount. The Air had been somewhat overlooked by Apple recently, but it has now received a much-needed refresh. 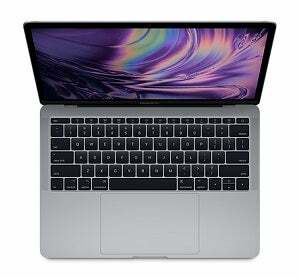 The 2018 Air has a faster processor and Retina screen (finally) meaning that it’s THE MacBook to go for unless you absolutely need to have the slimmest model possible (the 12-inch MacBook) or a more powerful laptop (the Pro). A 12 hour battery life means you can leave the charger at your dorm and be on your way, and the light laptop won’t drag you down. This is the ultimate MacBook, with a price-point to match. The entry-level model starts at $1299, but shoots up to $2,800 for the fully kitted out version. The good news is that you probably don’t need that one. So what does the money get you? For an entry-level MacBook Pro, you’ll get an Intel Core i5 processor, 8GB of Ram, and of course that visually stunning Retina display. All those specs can be improved upon if you spend more – the top of the line MacBook Pro (with a Touch bar above the keyboard) is north of $2,000. There’s a reason that MacBooks are so highly regarded in the design and creative industries, and the MacBook Pro is the pinnacle of this. If you’re studying design or a related offshoot, a MacBook Pro is a great tool for your course. Not sure which MacBook model to go for? Read our full guide, Which MacBook Should I Buy? This is a Windows 10 laptop with a surprising twist – literally. The screen can fold all the way back to onto itself, essentially serving as a large, 13-inch laptop, with a handy touchscreen. 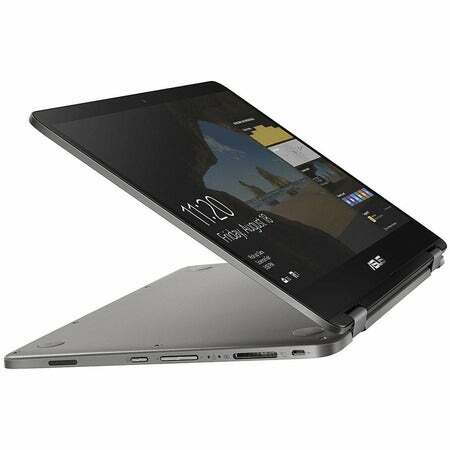 It’s no gimmick though – the screen makes it genuinely useable when flipped upside down as a hybrid tablet. It’s great for watching videos this way, for example. Beyond this trick, the Yoga 730 has plenty under its hood. There’s the latest generation i5 processor (for the entry-level model) and a 128GB solid state drive for fast load times and a decent amount of storage. If you like to make diagrams in class, it’s also compatible with a stylus, although this is sold separately, and costs around $50. 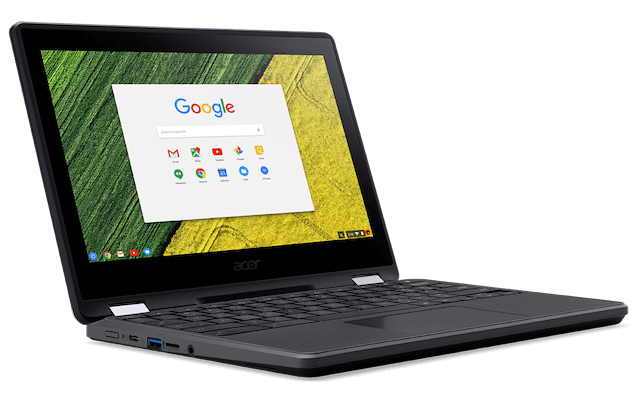 Ditching the traditional Windows and macOS operating systems for the Chrome OS, the Acer ChromeBook Spin does things a little differently. As with other ChromeBooks, it’s mainly cloud-based – think of it as the Chrome web browser, with a keyboard added on. You’re not expected to save files to the computer itself – you get limited storage (32GB). Instead, you save files securely in Google Drive. The Celeron processor would struggle to run macOS or Windows, but it still gives an extremely streamlined experience in ChromeOS. The laptop is super-fast to boot up and switch apps. If you want to do anything other than write essays, browse the web, stream video or research online, then this might not be for you. But, it’s a very cheap alternative to a traditional laptop. If you want to stick with good old Windows 10, then the Asus VivoBook Flip is a respectable, cheap laptop that should see you through college. Like the Acer Chromebook, the Pentium processor will limit what you can do, and the 64GB of storage is hardly generous. You’ll need to save docs to the cloud, or get an external hard drive. However, for around $350, you get a fully functioning 14-inch Windows 10 laptop. 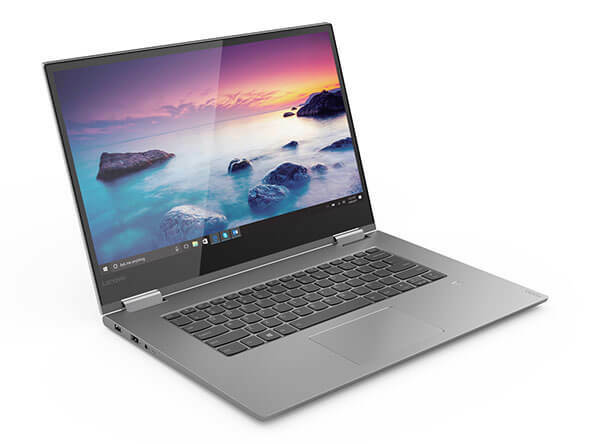 As the Flip name suggests, the screen can fold back on itself, much like the Yoga 720 above, but at a fraction of the price. It’s pretty slim and lightweight too, for the price bracket. 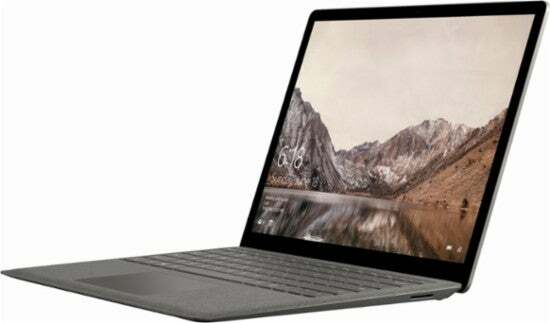 Is Microsoft’s Surface Laptop a MacBook killer? Not quite, but if you fancy the style and power of a MacBook, but want the Windows environment, it’s the next best thing. It starts at $800 for the Intel m3 processor model, which is a little underpowered (specially if you need to do graphics editing on your course). We’d recommend opting for the Intel Core i5 $1000 at least to get the full benefit. You’ll end up with a snappy laptop that not only looks amazing, but also performs great too, with a slim profile and excellent battery life. The MacBook has recently been surpassed by the Air – a cheaper and more powerful laptop. In fact, the Air has all but made the MacBook redundant for the most part. Yes, it’s thinner, yes its slimmer, but the Air is barely a behemoth that will weigh you down. The MacBook has a 12-inch screen, compared to the Air’s 13.3-inch, so if you’re looking for something smaller, then it might appeal, but unless you can grab the MacBook for a bargain price, we recommend the Air. The Air also has the added bonus of two USB-C ports. It’s hardly impressive, but with the MacBook you only get one, limiting your options for peripherals considerably. 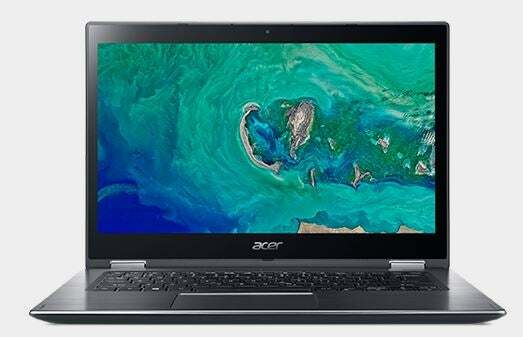 A nice, large, 14-inch laptop with a revolving screen, this laptop is well priced for those who want style and power on a budget. Granted the Intel Core i3 won’t turn heads, but it will prove more than capable for day to day tasks, and is a leg up from the Celeron and Pentium processors that are often found in cheaper laptops. If we’ve got one complaint, it’s that the battery life could be better. It’ll last you a few lectures, but it’s not really an all day machine, unless you’re in handy reach of an outlet. 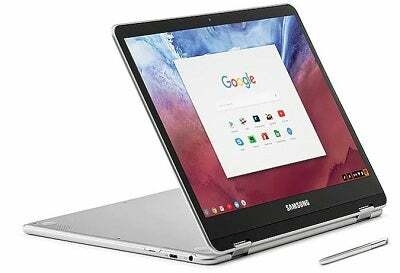 A Chromebook can be a cheap, smart way to grab a speedy laptop, as long as you’re comfortable working within the Google operating system. This Samsung has a stunning 12-inch screen and the processor can more than cope with anything you throw at it. Don’t discount Chrome because you’re concerned about Windows compatibility. You can run the full suite of Microsoft’s Office programs, including Excel and Word, so you can still present your work in a format professors are familiar with. You can, however, get a Chromebook for even cheaper than this – see below for more on Chromebooks. Okay, this isn’t a laptop exactly, but a tablet. However, starting at $400 and offering Windows 10 in full, the Surface is worth considering. It’s undoubtedly compact and lightweight, if you can deal with taking notes and writing essays on its 10-inch screen. Battery life is excellent, and the touchscreen makes annotations and quick sketches a breeze – a nice little added bonus over traditional laptops. The keyboard is extra, and frankly, essential, but if you’re on a course that only requires occasional note taking and research, take a look. Maybe. A Chromebook isn’t a laptop per se – think of it as the laptop’s slightly leftfield cousin. Not running on Windows or macOS, Chromebooks run the Chrome operating system. For the most part, Chromebooks are cloud-based, expecting you to save the bulk of your work online rather than locally. As a result, they tend to have little storage, sometimes as low as 32GB, but this does mean that the price is kept down. The benefit? No lost files – everything is stored securely online, so if you lost your Chromebook, you could still recover your essay from Google Drive. It’s price, though, that’s the real head-turner for Chromebooks. You can pick up a decent model for around $200. It won’t be a powerhouse, but because ChromeOS is so much lighter (it’s basically the Chrome web browser with apps and plug-ins), it doesn’t take much power to run. For the essentials – essay writing, web browsing, social media and video – a Chromebook will do a fine job. Your average Politics, History or English major will find they get along great with a Chromebook. But, for anyone who needs some processing power, like those on a Design or Engineering course, will find them sorely lacking. You won’t regret it if you do. The MacBook is no stranger to the college campus, and while it’s true that anyone rocking one in class will never be wanting for power (or for that matter, style), it could be massive overkill (and overspend) for most students. If you’re mainly writing notes and researching papers, then a MacBook is likely to be under-utilized in your care. However, designers and media students have a stronger use case, thanks to the platform’s (deserved) reputation as a tool for graphics and video editing. The MacBook Pro is, after all, one of the Best Laptops for Designers. There’s a lot to like about the MacBook. 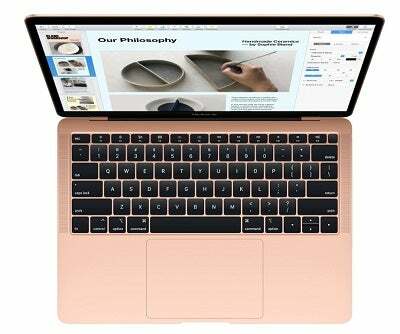 Whether it’s the crystal clear Retina display, the buttery smooth Intel processor, the touch bar of the Pro range, that intuitive operating system…for many, the MacBook is the peak of desirability when it comes to a laptop. But, it might not gel with your budget. The cost of a MacBook can be mitigated by Apple’s student discounts. 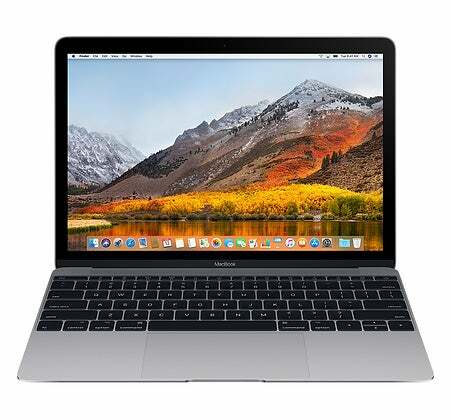 As an example, the entry-level MacBook Air can be had for $849 currently if you’re a student, a nice $150 discount off the list price. We know that college is busy enough time, without having to worry about whether or not your laptop is up to scratch. That’s why we’ve picked out a selection of laptops in this guide that we think are worth your time. How did we do it? Well, there were a variety of factors at play. Firstly, we picked laptops that were powerful enough for the average student. We could have picked up some sub $200 models that were dirt cheap and left you with some extra cash in your pocket, but they would have spluttered and wheezed through your years in college, if they even made it through it all. We also looked at a wide range of operating systems. Yes, Windows 10 and MacOS are the defacto platforms, but we also think there’s real value in ChromeOS, hence picking out a few ChromeBooks. They’re excellent note taking and thesis writing machines. Then there’s price. We know that budgets vary. If you can afford to pick up a MacBook, then by all means do, but just because you don’t have a cool grand to drop on a laptop, it doesn’t mean you should miss out. We’ve picked out models that cost half of that, or even less, and still do a fantastic job and won’t let you down.